Story: When an experimental space voyage goes awry, four people are changed by cosmic rays. Reed Richards, inventor and leader of the group gains the ability to stretch his body, and takes the name, Mr. Fantastic. His girlfriend, Sue Storm, gains the ability to turn invisible and create force fields, becoming the Invisible Girl. Her little brother Johnny Storm gains the ability to control fire, including covering his own body with flame, like a Human Torch. Pilot Ben Grimm is turned into a super-strong rocky Thing. 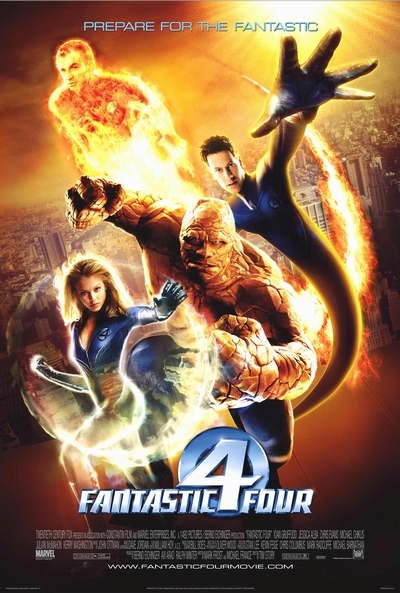 Together, they use their unique powers to explore the strange aspects of the world, and to foil the evil plans by the likes of Doctor Doom, which is who the villain of this film will be. Even as they deal with the various threats that arise to threaten Earth's peace, the Four must also deal with the pressures of fame as the world's most famous superheroes, and the realities of being a super-powered family.